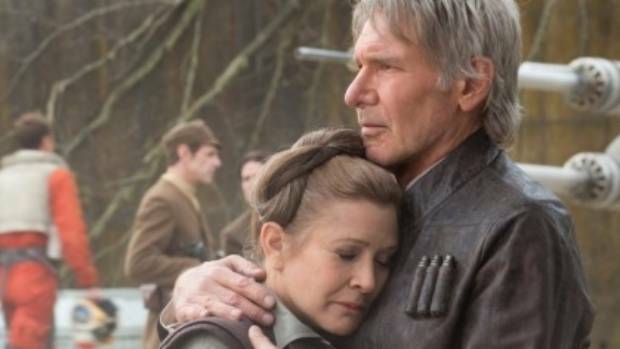 It’s another bittersweet episode as we remember actress and writer Carrie Fisher, who passed away on December 27th, 2016. A performer and a personality who found her artistic voice in her personal struggles with mental illness and addiction, she was as inspiring off the screen as she was on. Snarky to the very last! When Disney bought Star Wars in 2012, it was a new lease on life for a story that a lot of its original fans became disillusioned with. George Lucas is a creator of boundless visual imagination, but the stories he was telling in the prequels seemed to no longer resonate with the fans that had grown up with the films. Star Wars changed the landscape of popular cinema and reinvigorated space adventure. It influenced everything and its impact can hardly be overstated. When President Reagan envisioned a nuclear missile shield in the atmosphere over the United States, it was called the “Star Wars” program. He even called the Soviet Union an “evil Empire”. In the United Kingdom Census in 2001, 390,000 people listed “Jedi” as their religion. Star Wars had entered the consciousness of our world far beyond popular entertainment. And so much of it is mystical, what else are the Jedi besides space wizards with psychic powers who can come back from the dead as ghosts? The Star Wars prequels however, while wildly financially successful and groundbreaking in special effects, seemed to leave many of the original fans cold. In their eyes, Lucas went from a visionary to a joke, a billionaire with a waddle who had lost touch with what made his original films such classics. When Disney bought the franchise they gave the fans what they wanted, which was the further adventures of the Skywalker family. Luke, his sister Leia, her husband Han Solo, and their offspring. So much of the greatness of the original films is tied directly to the chemistry of the trio of leads, Mark Hamill, Harrison Ford, and of course, Carrie Fisher. And in the new series of films, people were hoping to see a lot more of Leia, who went from Princess to General. An icon of female empowerment who went from a damsel in distress to a breaker of chains and a leader of armies. 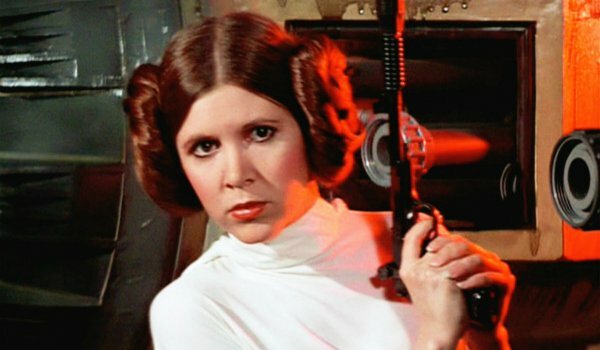 She set the sci-fi standard for female characters. When Carrie Fisher’s mother, Debbie Reynolds, passed away from a stroke the day after her daughter died, it was a sad and eerie story of a broken heart. But that wasn’t the only uncanny thing that happened in her life. She not only was romantic with noted paranormal enthusiast, Dan Aykroyd, but she had her own ghost story when her friend died in her bed (while she was in it! ), a psychic friend of her mother’s might have predicted her Star Wars fame, and none other than Corey Feldman himself said that she had some kind of psychic power that she saw his own struggles with addiction. 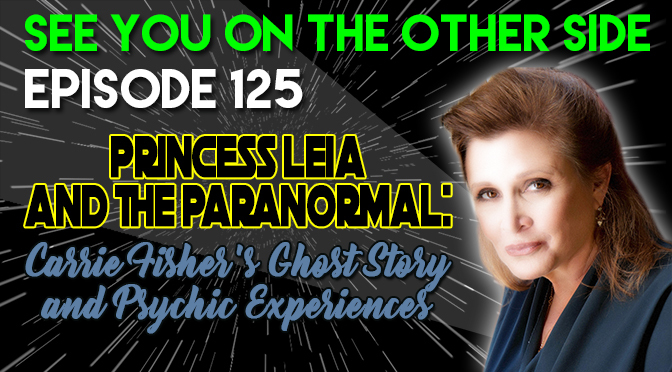 In this episode, Wendy, Allison from Milwaukee Ghosts, and I discuss her importance to the world of film, female heroes in science fiction, and her relationship to the paranormal. For the song this week, we had to include the video from Halloween 2009, where we went as Luke, Leia, and Han from Return of the Jedi. Wendy even made a Jabba to go with her gold bikini and I had lost my shirt at that point in the night, so I was less Luke and more Rancor Keeper! We often quote some of our favorite songs in a track of ours called “My Own Worst Enemy” and for this live tribute we did some of our favorite Star Wars musical moments. There were several other partygoers dressed as Jedi at the show so we even got to enjoy a little lightsaber action during the performance! I think I’m drinking just to forget her name. This is no Fortunate Fall, but it feels like “Paradise Lost”. So, get thee to a nunnery, you b!t(h.
I drank myself to sleep a thousand times. but I can’t seem to get you off my mind. I might even be my own worst enemy. Standing in the corner of my shame. because I really thought you could keep me sane. I touched an angel; I thought I brushed a wing. I thought it meant something, she didn’t.